Many of our HomeExchange stories come from seasoned members with years of stories to share, but this time around we received a story from one of our newer Members. Kim, from Australia, joined our HomeExchange community only a few months ago, but has already organized multiple exchanges. While she has yet to go on an exchange, she did have the chance to meet with long time Members, Jacques and Huguette. Kim recieved first hand advice about travel with HomeExchange and graciously shared this wisdom with our community. I met Jacques and his smiling wife Huguette (Jacques says it's pronounced ‘you get’), at a gathering organized recently on HomeExchangers’ Australian Facebook page, in Perth at the end of their 6 month trip through Australia and New Zealand. Intrigued and inspired by their boundless enthusiasm for home exchange, I invited them to my home for lunch, a week later, hoping to learn firsthand about their experiences since joining HomeExchange.com in December 2016. The couple, both retired school teachers, say that apart from the travel, forging new friendships is what they most love about exchanging homes. Their first home exchange was with a family in Boston, a 5 hour drive from their home in Montreal for 5 days to get the feel for how things worked. Six months after retiring in 2017, they made 3 exchanges over 3 months in France, traveling from Normandy to Bordeaux and Brittany. We met again when Jacques and Huguette generously invited us to join them for lunch at a harbourside restaurant in historic Fremantle. Over the noise of screeching seagulls competing for leftover fish and chips at the table next to us, Jacques tells me they made a phenomenal 16 consecutive exchanges in Australia and New Zealand, which started in July 2018. Later this year, they have exchanges organized in Austria, Hungary, and France. Jacques said, “We want to go to Iceland, but so far I haven’t been able to arrange anything.” He also tells me he is saving his GuestPoints to use in Japan. 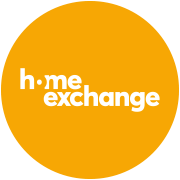 As a newbie HomeExchange Member myself, who has yet to actually complete my first exchange, I am in awe of the sheer tenacity that this level of planning consecutive exchanges must require. I asked him what his secret is. Spurred on by my brief mentorship, I have since organized 3 exchanges - one in a small coastal town south of Perth, one in Bali for 3 weeks over Christmas, and another in Sri Lanka for 2 weeks using GuestPoints. It comes as no surprise that a retired teacher, who counts many former students among his Facebook friends, is still sharing his knowledge. What Jacques showed me is that it’s all about people, those who make the experience - as they say - ‘priceless’. Read about Dennis and Denise's adventure to Monaco and all of the reasons they love to home exchange! Discover the story of Yvonne and her husband on a home exchange adventure to Athens, Greece for the Christmas holidays.